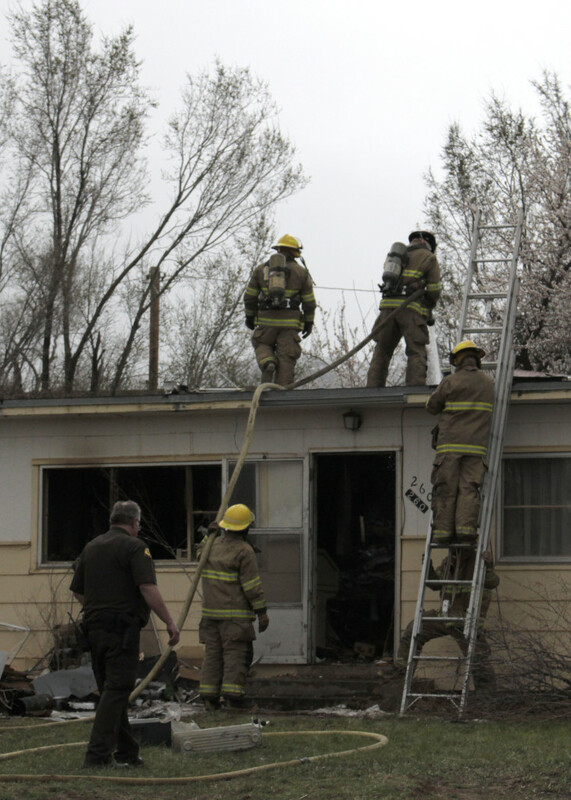 PAROWAN — High winds and a hidden ember rekindled flames from a house fire that ravaged a Parowan man’s duplex home Monday afternoon, sending firefighters back to the home Tuesday. 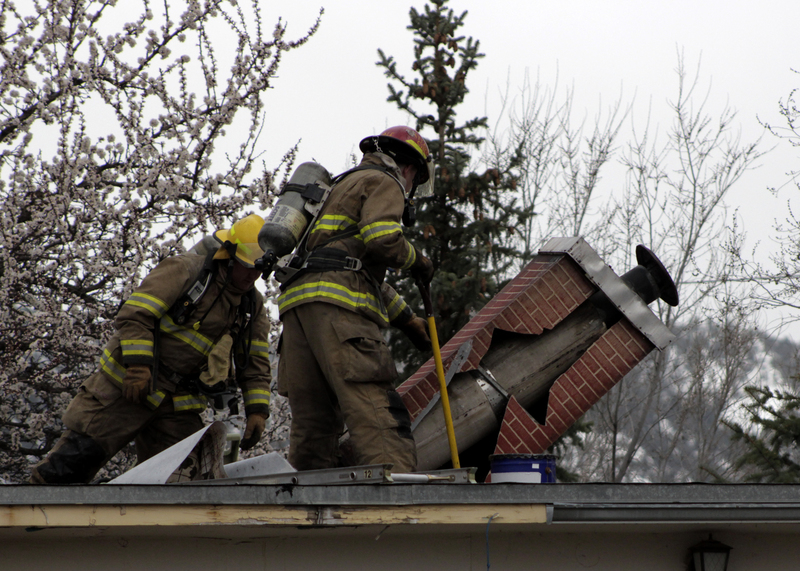 The Parowan Fire Department responded to 260 E. 400 North after a call came in at 11 a.m. from a neighbor who reported he saw smoke coming out of the home, said Parowan Fire Chief David Shiers. 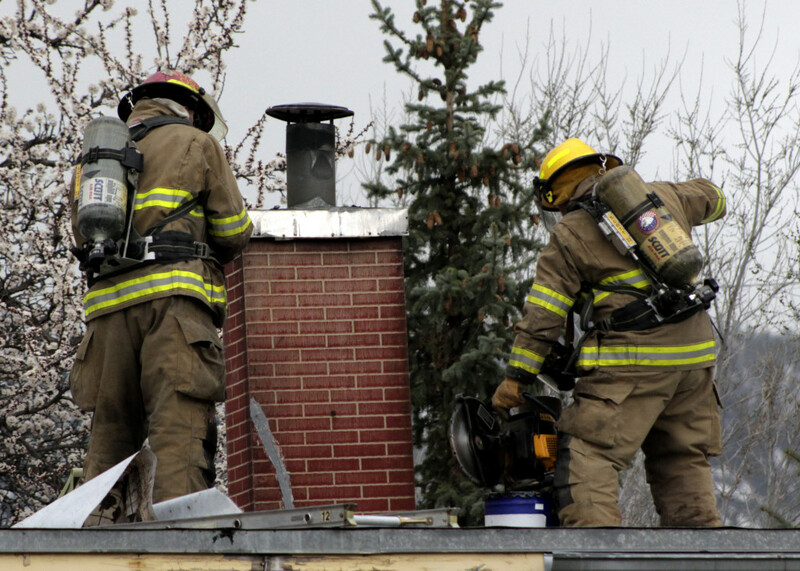 After inspecting the inside of the home firefighters used a ladder to climb onto the roof to get at the chimney, which they sawed off. 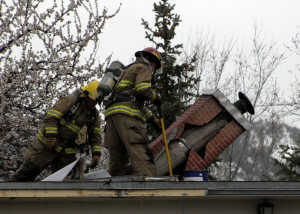 Firefighters were tearing the roof apart trying to access an internal wall that looked like brick from the outside, he said, explaining their current theory is that the heat came up the chimney and accessed the floor of the space below the roof. 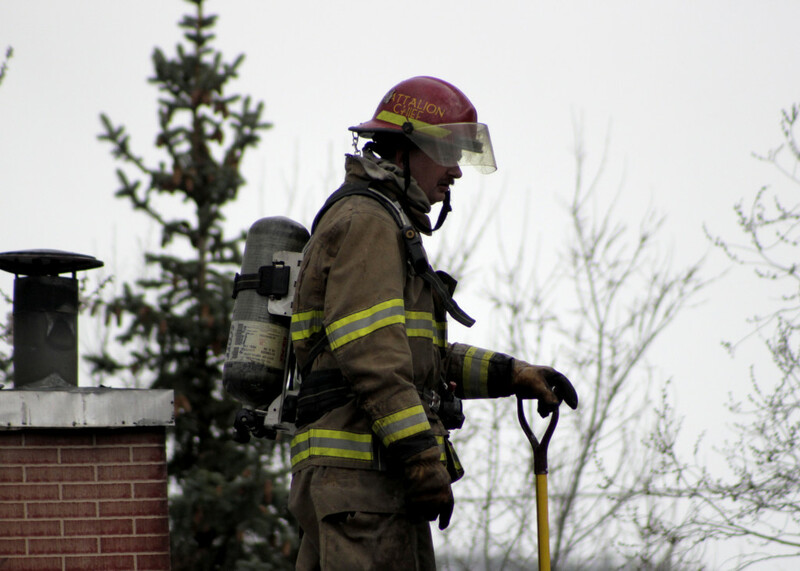 With the heavy winds Monday night, Schiers said, it would have been easy for a smoldering ember to fan into flames. 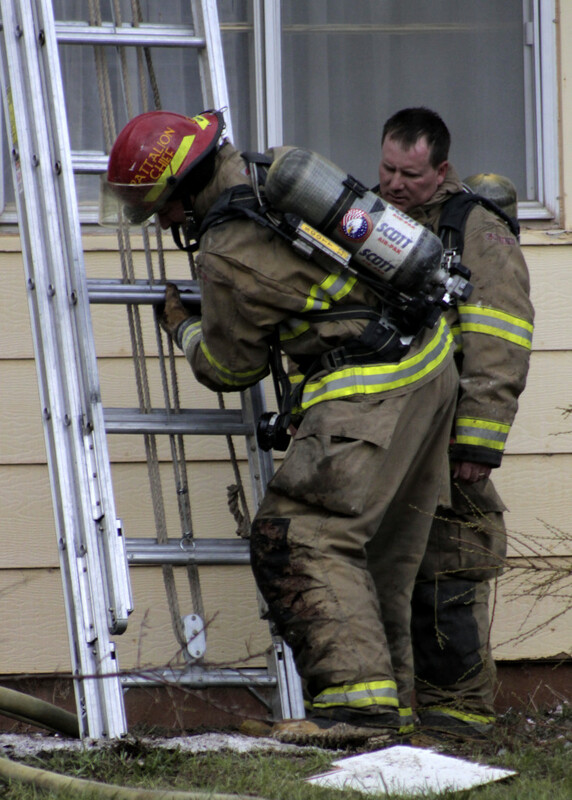 It’s not unusual for a fire to rekindle and need extra attention the following day, especially in a structure fire where there are many places for embers to hide and create hot spots that could ignite later. 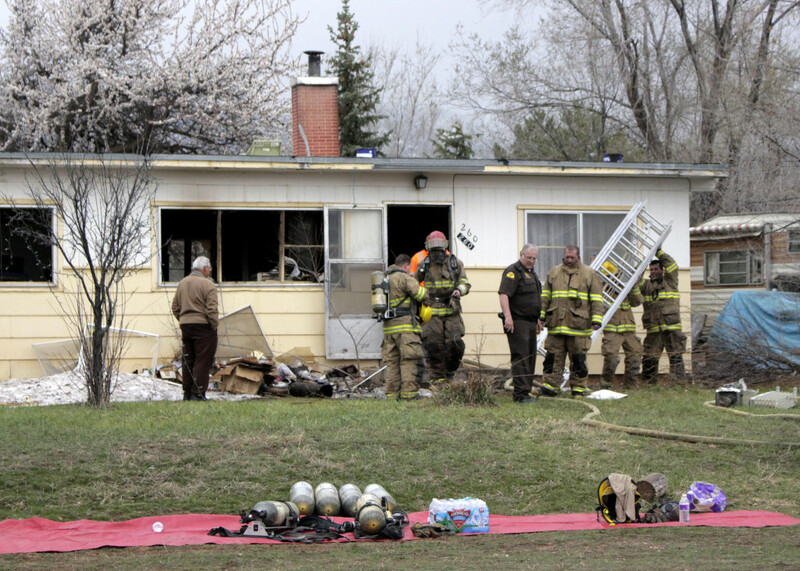 When firefighters salvage they pull the wall back from the burned part to the unburned parts to look for hot spots in the walls, Schiers said, adding they were sure they had gotten to everything before they left the scene Monday. 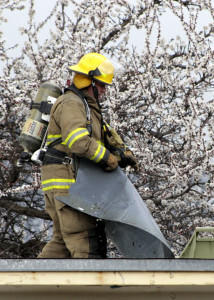 As winds whipped, the clouds intermittently drizzled rain, occasional snow and even hail down over the firefighters who were hacking out portions of the roof to access the flames in the rafters. They sprayed water into the space between the rafters soaking everything they could find from the rooftop and below. 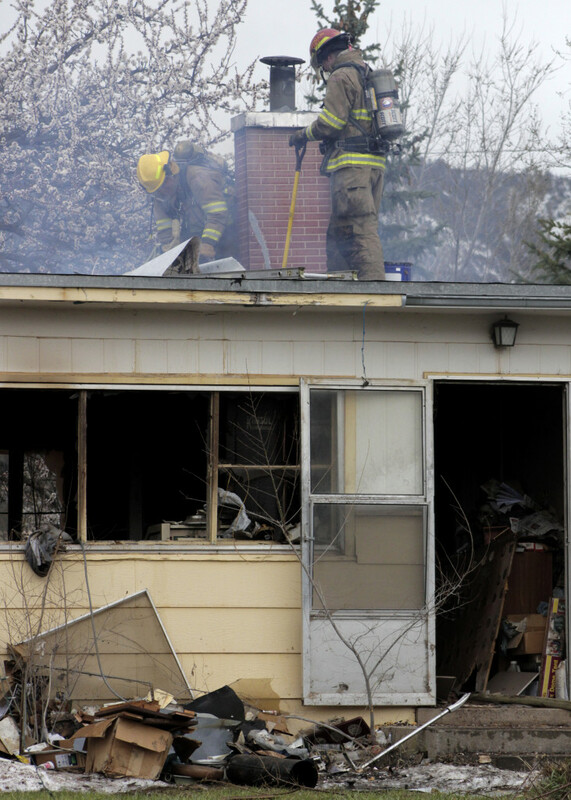 The house caught fire Monday, displacing the homeowner who lived on the west side of the duplex. No one lived in the east side of the building. 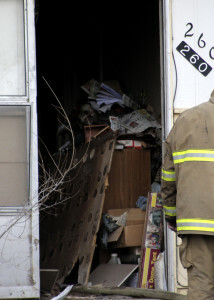 The fire was complicated by an extensive collection of papers, boxes and other items that were piled throughout both sides of the duplex home. 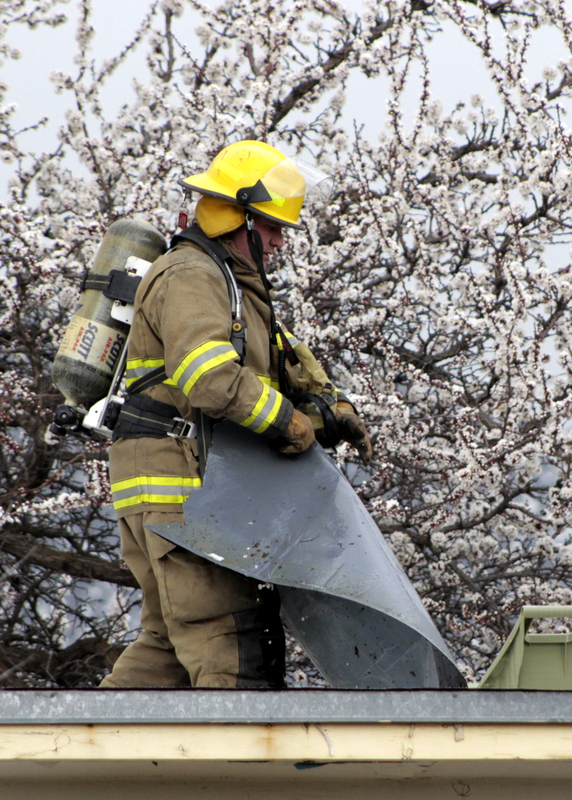 In order to combat the flames, a Parowan City bulldozer was brought in and used to fill a city dump truck to remove debris from the home. Firefighters from Parowan, Paragonah and Brian Head Fire Departments pitched in to clean out items that cluttered the home and look for hot spots to douse. 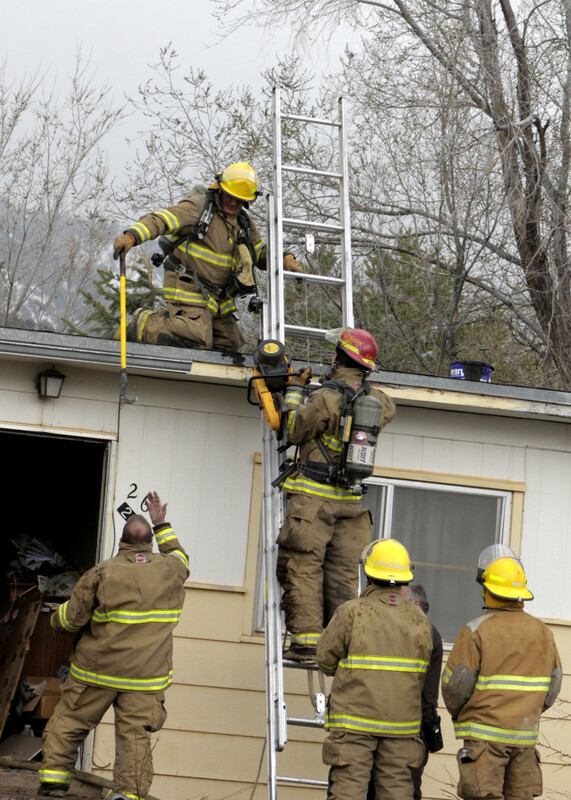 The house was condemned by the Parowan fire chief under the city’s egress ordinance, he said, explaining that meant there has to be sufficient room for someone in the home to get out in case of a fire emergency. 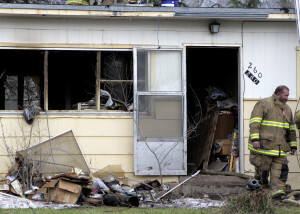 “He can empty it, clean it and fix it, and then move back in once it’s safe,” Schiers said. 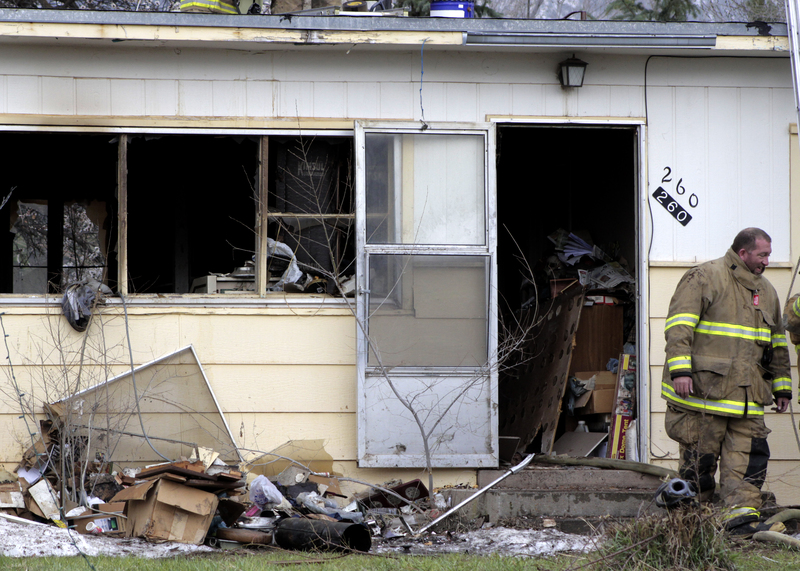 Though the homeowner was displaced, Schiers confirmed Tuesday that he did have a safe place to go and resources available to help him.